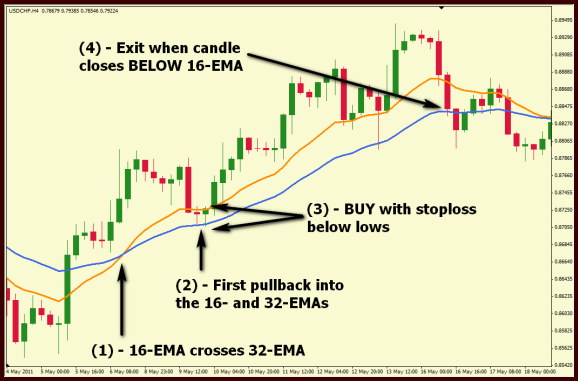 Inside Bar with Emas pullback is a trend following strategy based on moving averages with Inside bar pattern. 32 Exponential moving average, close. range must be inside the previous candle’s range. 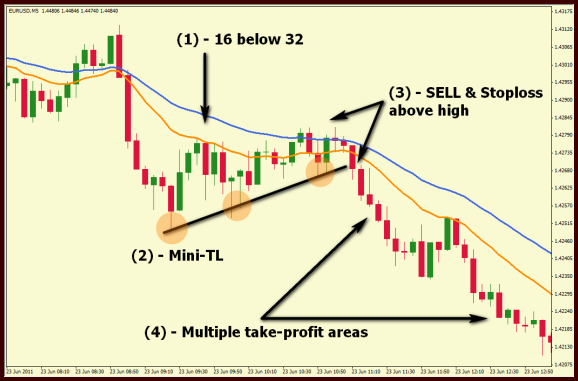 Enter an Inside Bar breakout is to wait for price to breach the high of the Inside Bar if you’re considering going long, or to wait for the Inside Bar low to be broken before considering short positions, but when there is a pullback of the price to the Moving Average. Wait the formation of the Inside Bar. Buy with stop loss below the lows of the Inside bar formation. 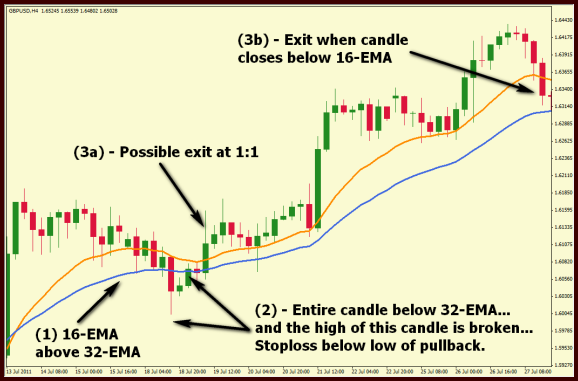 Exit when the candle close below 16 EMA, or take profit with ratio stop loss 1:1. 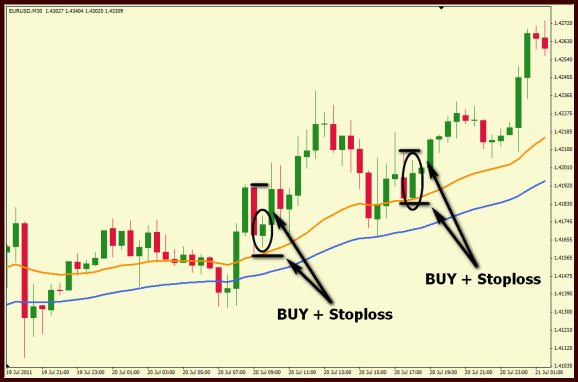 Price action come back the price between EMA 16 and EMA 32. 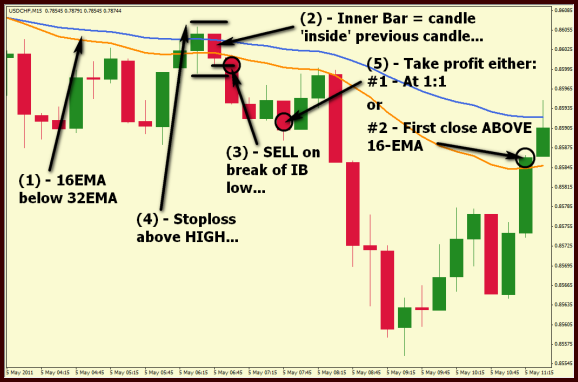 Sell with stop loss above the highs of the Inside bar formation..
Exit when the candle close above 16 EMA or take profit with ratio stop loss 1:1. 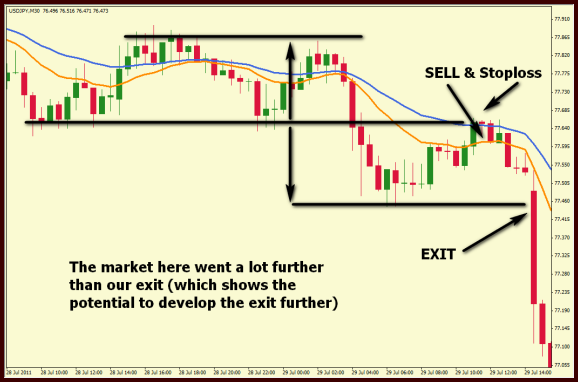 The Inside bar pattern when the price is in a consolidation phase generate false signals. To avoid consolidation, it is always advisable to check the angle of the trend. What is the consolidation market? The market doesn’t trend, and usually just drifts sideways in ranges or in heavily whipsawing action. the market churns so tightly that inside candles are formed.